My hubby and I were featured on the hit wedding show "Bridezillas" July 4th, and July 11th 2010. The experience has been amazing thus far! There have been a lot of fans supporting me, and that is awesome! However, with the good...there is also bad. There have been a few rude comments from viewers. I am amazed at how people think they have the right to throw out these crazy theories based on a few minutes of edited footage. There were many comments about me that honestly displayed how bitter and insecure many women can be. My wedding was beautiful, so it seems as if some women are just trying to find ways to complain because they are jealous and have their own insecurities. There were comments on everything from my teeth to wondering how I could afford to live so nicely...seriously??? Why are my personal finances even being discussed??? How is that anyone's business? Someone even had the nerve to discuss what they think I might be like in bed. That is definitely crossing the line! While it might make you feel better to sit her and judge others, just know that you are very wrong. It is laughable how extremely off these comments are. Therefore, I am going to fill in the blanks, and address some issues that fans are interested in knowing more about. If you are a fan of the show "Bridezillas," then feel free to ask me what you want! I will be doing a Q & A blog/vlog about the show, so please send me your questions. There is no need to come up with theories online, just ask me...and I will be honest. Please click here to send all questions to me via email. Be sure to put "Bridezillas" in the subject box. Or you can also leave questions in the comment box below. 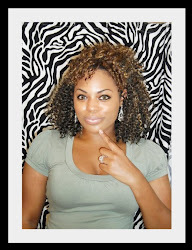 In the mean time, please feel free to check out my blog and profile on WEtv.com! This may answer some questions that you have. All links are below.